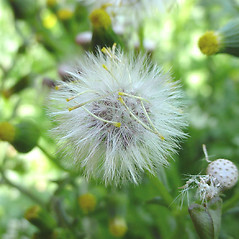 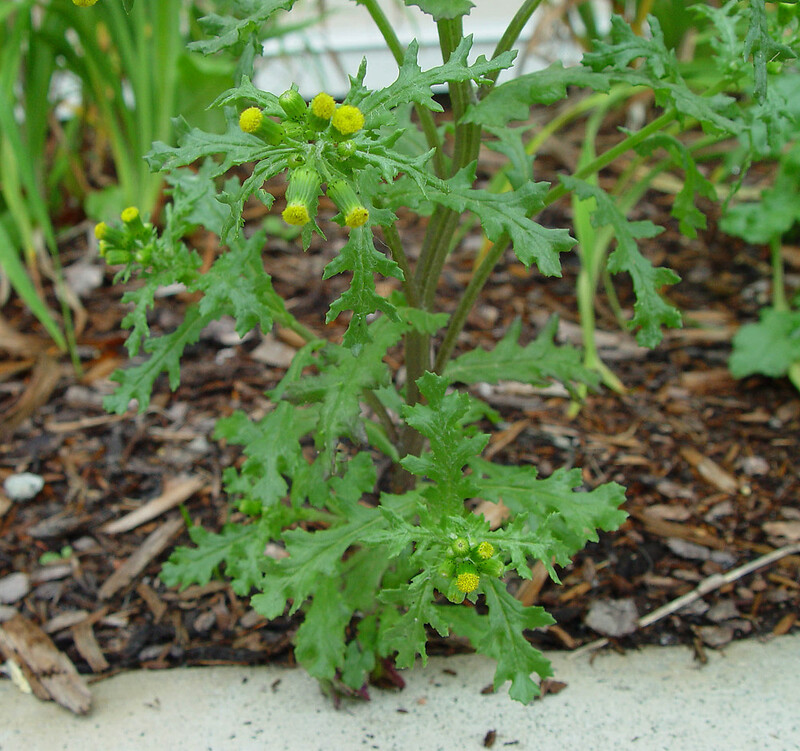 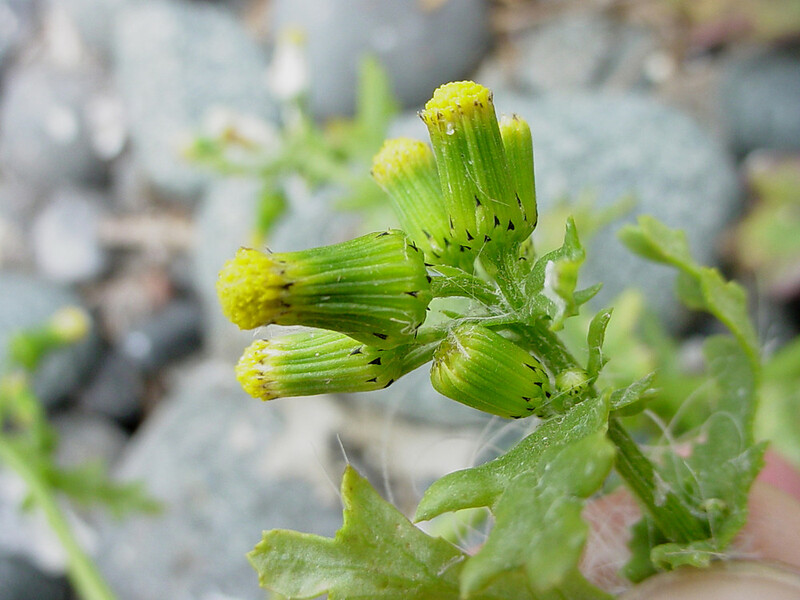 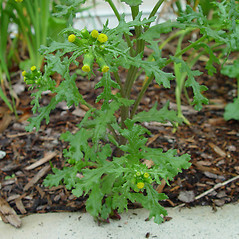 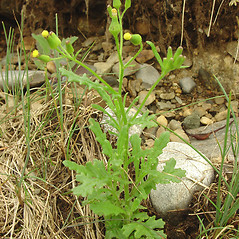 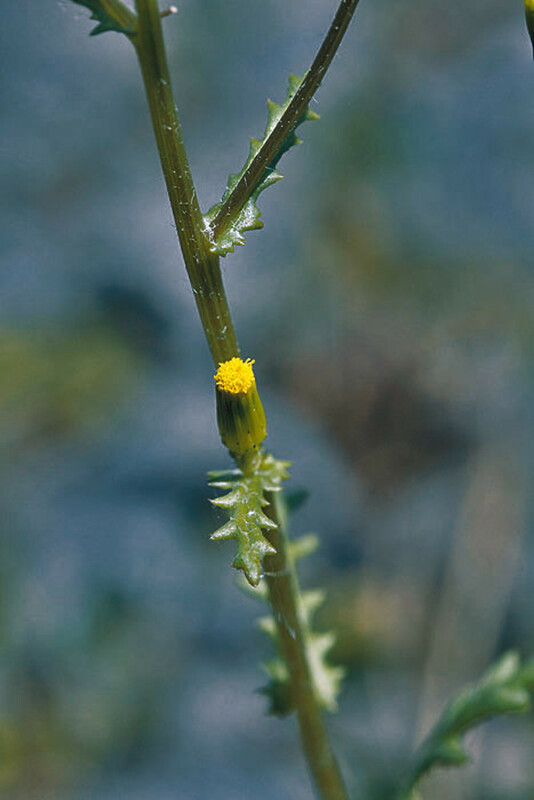 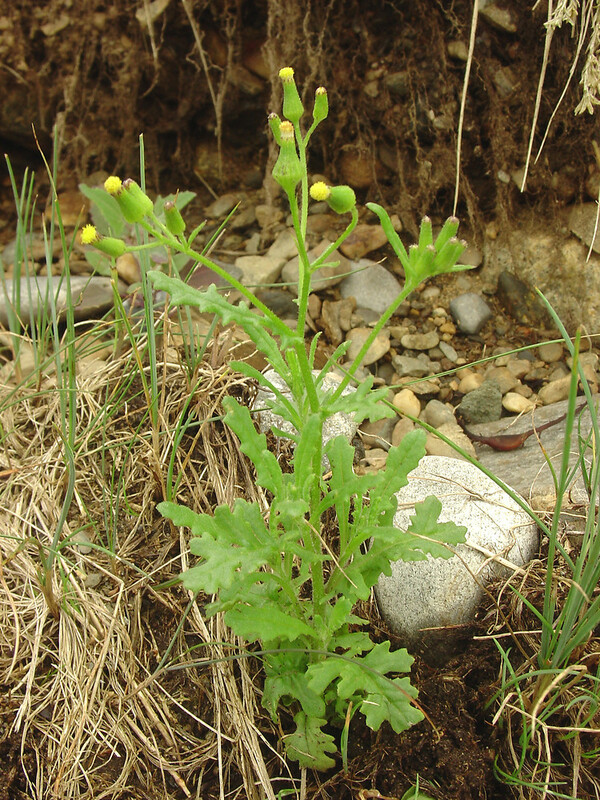 Common ragwort is a Eurasian annual that has become a weed worldwide and in North America. 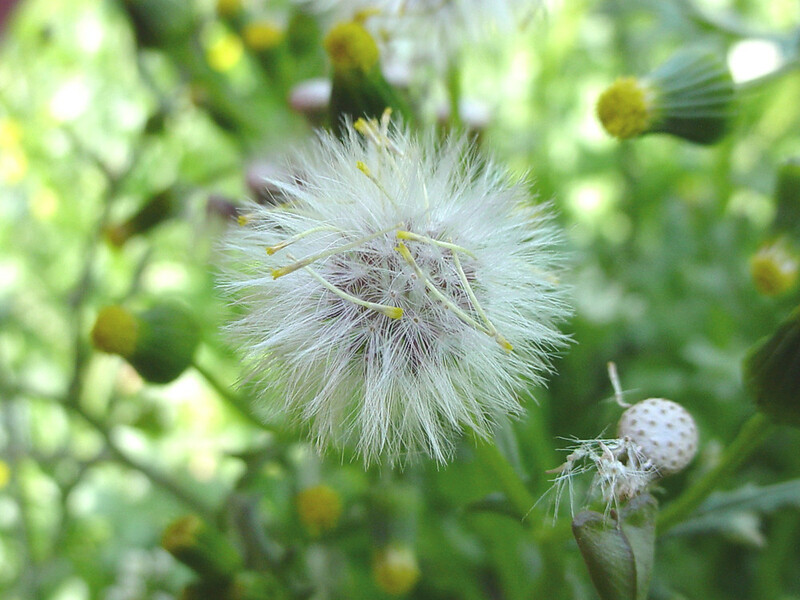 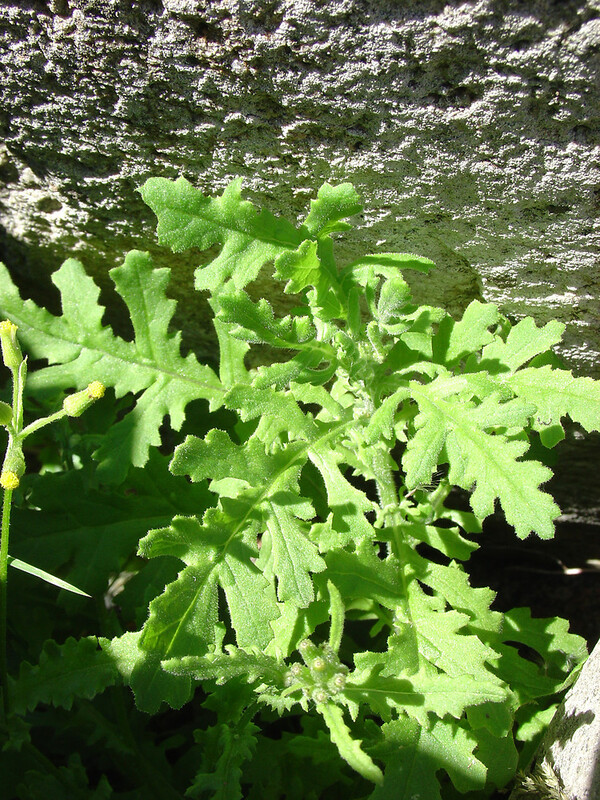 Mammalian herbivores avoid this species because the foliage contains toxic alkaloids that can damage the liver. 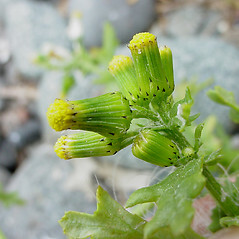 flower heads with short rays around the periphery and the involucral bracts without a dark apex (vs. S. vulgaris, with flower heads without ray flowers and the longer involucral bracts with a dark apex). 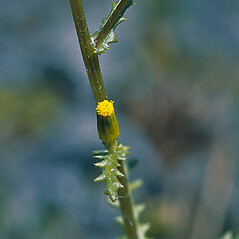 common ragwort. 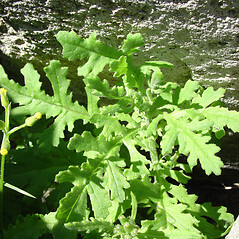 CT, MA, ME, NH, RI, VT. Roadsides, fields, areas of cultivation, sidewalks, waste areas.